Standalone tool to View E01 File of any types & size. 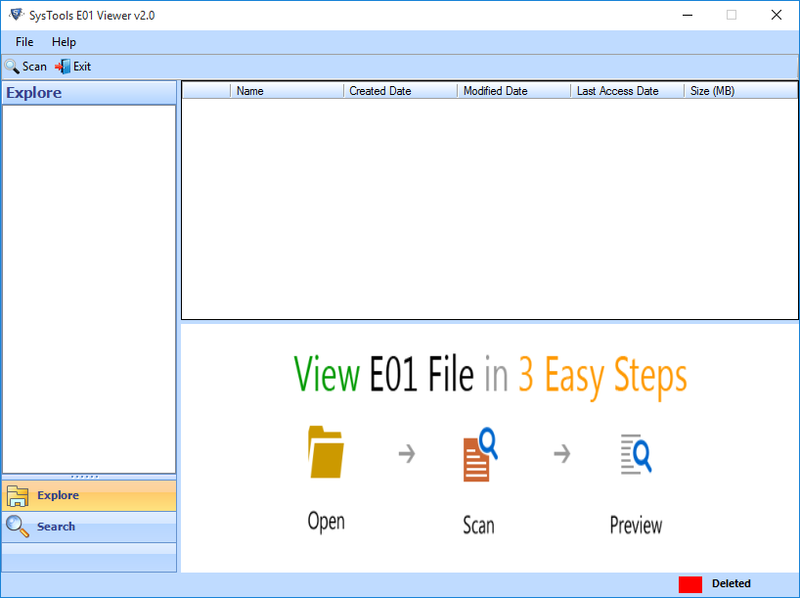 E01 Viewer tool allow users to easily Open & Read multiple E01 files. 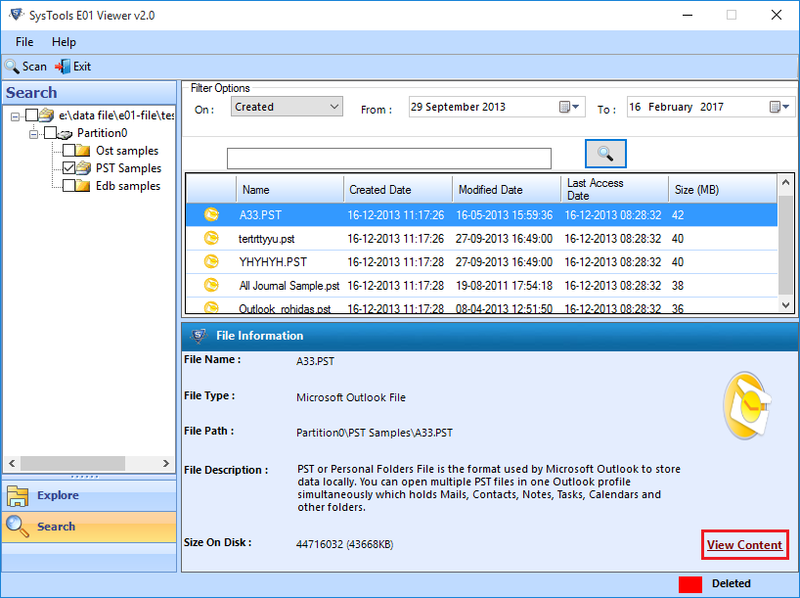 By using this exclusive tool, users can preview three type of files i.e EDB, OST and PST files present in any E01 image file. E01 Image Reader provide users with an exclusive option to Scan & Load all OST, PST or EDB file found within an E01 file. The software will save previously scanned data, so that you will not need to scan the same file every time you open it. 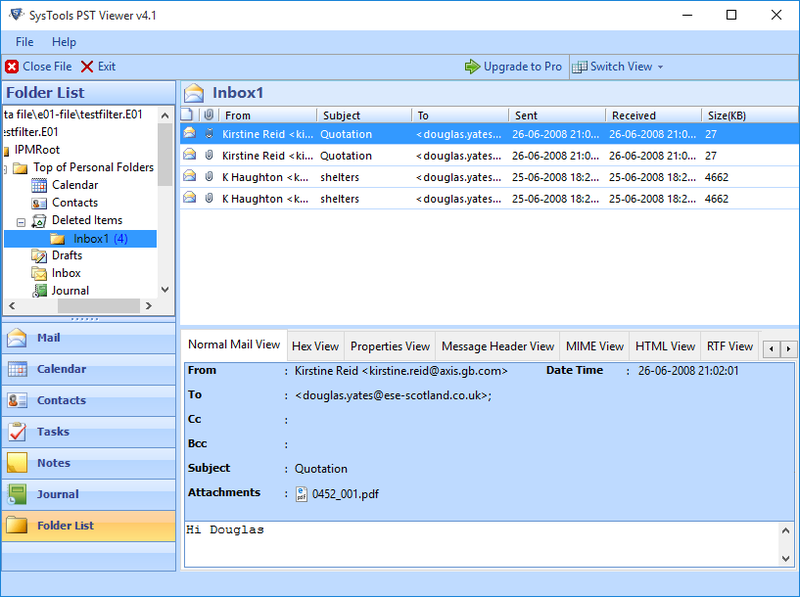 E01 File Viewer consists of multiple in-built viewers i.e OST, PST and EDB viewer to view E01 files. A user can view the content of E01 file by clicking on View Content button and the software will launch desired built-in file viewer for the file. Forensically Examine all E01 Files. View E01 File items with attributes. Depth analysis of Email data files. Mount multiple E01 image files using E01 Viewer. Scan & Open E01 File items in Batch. E01 File Reader is an Exclusive tool to Explore multiple E01 image files. How can I read EnCase E01 Files using E01 File Viewer? What is E01 File and How can I view its entire content? E01 file is a Forensic Image file of CD, DVD or other portable devices. It is basically created by EnCase, FTK Imager and by the other forensic software. 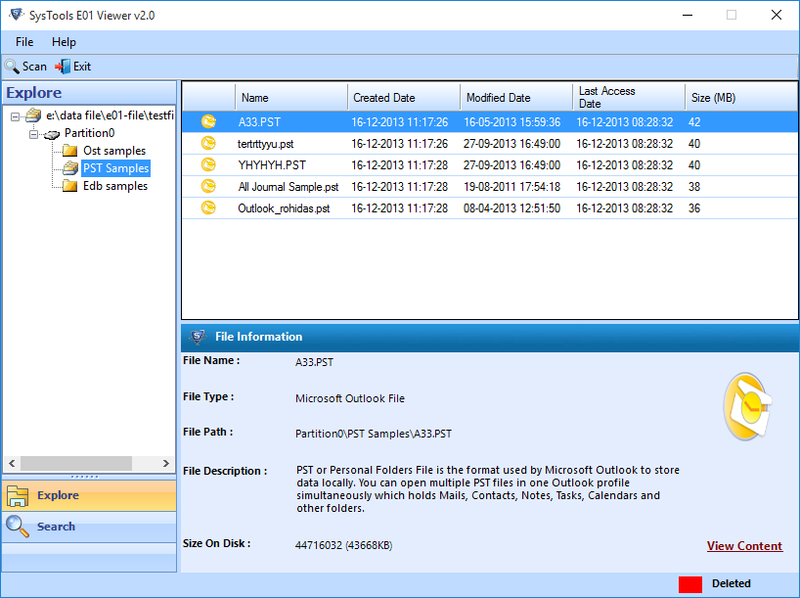 Most forensic users create EnCase E01 file to prevent the unauthorized access of their data. E01 Viewer tool provides you the best feature to view the entire E01 file in a short span of time. Can E01 File Viewer able to open EWF image files? Yes, E01 File Reader can easily open the EWF image files in a short span of time. Not only this, E01 Image Viewer software helps users to forensically examine the EWF image files. Can I run EnCase E01 Image Viewer on my Windows 10 Operating system? Yes, being a Windows-based utility the E01 File Opener is compatible with all Windows versions. Is it possible to use this E01 Viewer tool on Mac? No, E01 File Opener is completely a Windows based utility i.e you can run it only on windows platform. Will the software allow me to view corrupted E01 File? Yes, EnCase E01 Image Viewer software helps to read E01 File which is corrupted and also removes the corruption from each of its sectors. The Software also provides a unique feature of opening all E01 files in a batch. Is it possible to view my E01 file as PDF? Yes, E01 Viewer Pro is an exclusive tool which has a great option to save your E01 files in PDF format. Not only this, the Pro version of E01 Image Viewer provides advance scanning mode with deep analysis of E01 image files. “I was unable to open and view E01 files ans was in search for a tool which could help me to resolve this issue. But, when I came across with E01 Viewer it helps me read E01 files easily. Completely satisfied with this tool." “I was in need to perform deep analysis of email data files. However, using this Encase E01 viewer makes my task easier. Thanks for creating such software.!!" Copyright © 2017-2018 www.emailviewer.org | All Rights Reserved.